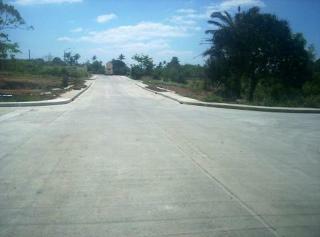 PUEBLO DEL SOL TAGAYTAY - a 19.5 hectare residential estate sprawling in Bgy Kaybagal North. Sitting within the famous tourist spot in the county, Pueblo del Sol offers solace to buyers with its relaxing atmosphere that only Tagaytay City can offer. Only a stone's throw away from Taal Lake, people who would come home to Pueblo del Sol are assured not only of premium residence but also bonus of being near one of the famous tourist spots in the Philippines. PUEBLO DEL SOL is within Tagaytay Proper. Also near Mather Dei Academy, Mahogany Market, Tagaytay Vista Lodge, Tagaytay Hospital, Municipal Hall and Restaurant Avenues overlooking Taal Lake. PUEBLO DEL SOL - THE CITY OF THE SUN. YOUR HOME IN TAGAYTAY ! !